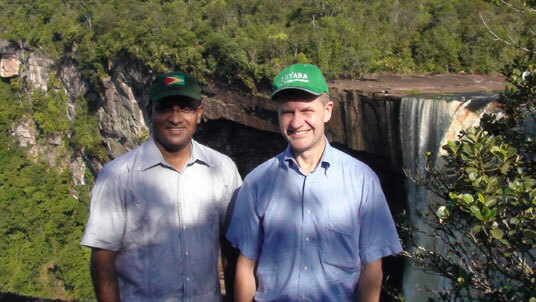 On 24 March 2011, members of Guyanese civil society and two Members of Parliament sent a letter to Erik Solheim, Norway’s Minister of the Environment and International Development. The letter raised “eight key problems with the operation of the Memorandum of Understanding between the governments of Guyana and Norway”. Almost two months later, Solheim replied, but stated that “It will not be possible to go into the details of your letter here”. On 20 May 2011, another letter was sent to Solheim requesting a detailed reply to the eight points raised in the first letter. The letter is posted below and is available here (pdf file, 49.3KB). We thank you for your interim reply dated 10 May and received on 18 May through Marte Nordseth of NICFI to our open letter to you dated 24 March 2011. We had raised eight major points of concern about the operation of the Norway-Guyana Memorandum of Understanding and after six weeks you said that “It will not be possible to go into details of your letter here”. From this statement we understand that your staff (or NICFI) will be providing a full response to each of those eight points, and we respectfully request that you provide both a timetable for that detailed response and the name of a contact person with whom we can sustain contact. “Guyana’s LCDS Multi-Stakeholder Steering Committee [MSSC] and other arrangements to ensure systematic and transparent multi-stakeholder consultations will continue and evolve, and enable participation of all affected and interested stakeholders at all stages of the RED-plus/LCDS process; protect the rights of indigenous peoples; ensure environmental integrity and protect biodiversity; ensure continual improvement in forest governance; and provide transparent, accountable oversight and governance of the financial support received.”; section 2 (c) of the MoU which you signed on 09 November 2009. We appreciate that it is easier to express good intentions than to implement those intentions in countries with a uniformly poor set of governance indicators such as Guyana. We are pleased to read that “Norwegians ministers remain fundamentally more open, and the state much more transparent, than most other developed or developing countries” (Mark Curtis – “Doublethink: the two faces of Norway’s foreign and development policy” (January 2010, summary, page 5)). However, Curtis’ next sentence continues: “Yet they face a number of dilemmas and are avoiding hard policy choices”. Our letter was intended to help you and NICFI understand the nature of some of those dilemmas, from the perspective of Guyanese civil society which is not under the control of the President, unlike the MSSC. We respectfully represent to you that the last paragraph of your letter shows the importance of such independent engagement. Your non-Guyanese consultants would have encountered difficulty in penetrating the obstacles which are typical of the Guyanese government bureaucracies, especially as they were unfamiliar with the local political and personal dynamics. Taken together, however, the consultancy reports and government documents during 2008-2011 show that discrepancies in government documents and statements remain unresolved. In some cases, the consultants simply recorded at face value what they were told by government and apparently probed no further. In other cases, consultants noted the discrepancies but were unable to secure resolution (for example, Cedergren (2009, page 39)). In the case of the Poyry study on areas of forest and non-forest, the New Zealanders noted that there were three main ways of validating the estimates, and unusually opted essentially to repeat the classification exercise with apparently the same interpreters using the same visual interpretation methods plus one single overflight. The obvious alternative would have been to use the forest concession maps for over 6 Mha (million ha), annual coupe and logging block maps for long-term concessions covering ~180,000 ha/year, and the short-term concession maps covering ~1.8 Mha per year; together with the logging block inventories which had been verified annually by the Guyana Forestry Commission, the logging block production records, and the GPS-mapped roads and loading areas and camps. In addition, the Guyana Geology and Mines Commission has maps of the ~9000 mining licence areas and the GPS location of the gold dredges. In total, there is a wealth of data for ground-truthing the classification from satellite imagery, but that was not used (or was not described in detail) in the three studies for the monitoring, reporting and verification system (MRVS) by Poyry, Det Norske Veritas and Durham University. We respectfully suggest that the lacunae in these reports raise some major questions. We respectfully submit that our observations should be important to Norway, partly because NICFI has repeatedly stated that it wishes to create a global model for REDD-plus. We suggest that more work in Guyana would put this global effort on a stronger and sounder basis, and we look forward to your detailed reply to our eight points. It must be clear that the indigenous peoples have always been taking care of the forest but when programmes are outlined and the indigenous peoples are enticed the $$$ and solar panels and told to ‘opt in’ whenever they are ready without them having full and independent knowledge of legal international obligations under REDD+ and possible risks is being deceptive. I note that this group’s second letter to Hon Minister Solheim was couched in some creative diplomacy but this did not hide the fact that they were simply lobbying the Minister for attention. I just have a few comments, questions /clarifications for the group. 1. I observed that five (5) of your members have apparently dropped out. In the name of transparency could the leader or its appointed representative inform the public why they are now 17 signatories instead of the original 22. 2. How was the Minister’s reply determined as “interim”? 3. Why is there an attempt by this group to engage the Minister’s staff (or NICFI) directly and bypass the Minister. This was inferred in Parag. 1, even though the Minister responded directly and may wish to deal with this matter himself?? Is this a show of dissatisfaction with the Minister and a preference to deal with his staff instead?? 4. Why is the group linking, its justification for a response, with Norway’s national policy on international development (Parag. 2). An amorphous group attempting to remind the Minister about his country’s national policy can be considered inappropriate. 5. Much of the data and “ground truthing” referred to is asking the “non Guyanese consultants” to be engaged in the area of discovery. This is beyond the scope of the JCN. Additionally the time and resources will obviously put a limit to what can be done (without comprising the JCN) at each stage of an evolving process. 6. Finally, my opinion is that the President is not there to control the MSSC as expressed by the group. Direct involvement of the President will ensure that its progress continues and hindrances are minimized. Whichever US Embassy person wrote this cable evidently appreciated more about the reality of ‘forest conservation’ in Guyana than the Government of Norway has realised even to date, or indeed than the gullible bureaucrats in the UN and elsewhere that have showered Jagdeo with totally undeserved awards for his supposedly green credentials.